You would be hard pressed to find a single archetype more popular, influential, and timeless than Burning Abyss. The work on which it is based, the Divine Comedy, has shaped the literary landscape for nearly 700 years and Burning Abyss has likewise dominated the Yu-Gi-Oh! metagame for what feels like an equal amount of time. After nearly a year and a half of exclusively-rogue playability, Burning Abyss has begun topping once again. A consistent stream of incredible finishes alongside an upcoming new Link monster seem to indicate that it’s not going anywhere anytime soon. What makes Burning Abyss unique is its ability to float. Almost every individual Burning Abyss monster generates advantage when it is sent to the graveyard, a feature of cards that moves in and out of vogue as formats come and go. Its incredible grind game, its legendary consistency, and its lack of weaknesses against current handtrap suites make it a formidable choice in a metagame that’s still being explored after the demise of full-power SPYRAL. Burning Abyss currently occupy the top spot in Tier 2. While they possess incredible defensive tools, Master Rule 4 prevents many of the 7500+ life-point swings that previously made the deck so formidable. Additionally, in a format as grindy as this one, it is not difficult for a deck that makes a single Beatrice to get ground out. This is Michael Forner’s Top 8 YCS London decklist, during the heart of SPYRAL format. As you can see, there’s a significant amount of maindeck space allocated to cards that specifically hose SPYRAL, including two maindeck Ghost Reaper & Winter Cherries, three Mistake, and a Skill Drain. Because of the high density of powerful hand traps in the main deck, the side deck is much more tuned for going first with triple Anti-Spell Fragrance, triple Vanity’s Fiend, and triple Solemn Scolding. The final tech choice of note is the inclusion of Crane Crane. While this card has not traditionally seen much play in Burning Abyss decks of the past, its ability to summon a Burning Abyss monster while a Link monster is on the field makes it a powerful choice. This is Noah Greene’s St. Louis Circuit Series decklist, netting him an undefeated record after swiss. This tournament, played on November 4th but utilizing the new banlist, saw a massive SPYRAL attendance despite their considerable hit. Greene’s decklist has a lot to talk about, most notably the inclusion of six pieces of spell and trap destruction in the maindeck, which are much more powerful in a format with Pendulum Magicians and True Draco. The high number of floodgates in the main deck also make the deck powerful going first while the hand traps allow the deck to go second. 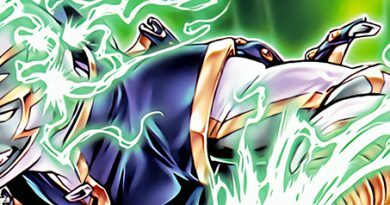 While previously Phantom Knights were a foregone conclusion in any Burning Abyss deck, the availability of hand traps and Kaiju means that deckbuilders will have to decide for themselves if they want to sacrifice some of the most powerful interactive tools in the game for some of the most powerful linear ones. Usually, builds will play 3 copies of The Phantom Knights of Silent Boots, 2 copies of The Phantom Knights of Ancient Cloak, and 1 copy of The Phantom Knights of Ragged Gloves alongside 3 copies of The Phantom Knight’s Fog Blade. These ratios allow Burning Abyss players consistent access to a powerful monster negation and attack prevention tool, which comes in handy against many decks packing enabler monsters like SPYRAL Gear – Drone. It also protects Burning Abyss by stopping monsters that can attack over Dante, Traveler of the Burning Abyss. Less of a tech card and more of a maindeck inclusion, Fairy Tail – Snow is often a one-of in new Burning Abyss builds. Lightsworn players will recognize just how powerful a repeatable Book of Moon can be, especially when it can also be turned into a rank 4 or a Link monster. Burning Abyss players might cringe at the thought of banishing any monsters from the grave with anything but Barbar, Malebranche of the Burning Abyss, but using spare Phantom Knights and handtraps to push for damage and out problem monsters is important for a deck that otherwise has a few problems with monsters over 2500 attack. Alongside Fairy Tail – Snow is Orbital Hydralander, a card that rewards a graveyard filled with singletons. Since two of the three high-impact Burning Abyss monsters are currently limited, and you’re unlikely to get more than one Scarm, Malebranche of the Burning Abyss into your graveyard in the early game, this card slots perfectly into a strategy that can use Barbar, Malebranche of the Burning Abyss and Fairy Tail – Snow to manipulate the contents of your graveyard, ensuring you’ll always have access to this incredible beatstick. Orbital Hydralander’s quick effect disruption can also somewhat fill the gap that was left in Burning Abyss decks by the limiting of Beatrice. Burning Abyss has a long and storied history of using other archetype’s cards to set up ridiculous rank 3 plays, and Galaxy Worm is just one more species in a long chain of Dante evolution. Galaxy Worm functions as Tour Guide from the Underworld numbers 2, 3, and 4, fulfilling the role Speedroid Terrortop did until its unfortunate demise, albeit at the cost of your normal summon. Since most versions of the deck play more than 40 cards, it’s unlikely you’ll draw the two copies of this needed to brick them. Despite its incredible staying power, summoning a Dante, Traveler of the Burning Abyss and passing is often not powerful enough to stay alive, especially against decks like Pendulum Magicians or ABC, which are adept at removing threats and pushing for lethal damage. Because of this, the deck needs a way to set up a defensive wall against decks that abuse the extra deck. With a relatively low summoning cost and a bevy of special-summonable tribute fodder, Vanity’s Fiend has been included both in Burning Abyss’ side decks as well as the main decks of players who aren’t afraid of True Draco. The return of Burning Abyss began during SPYRAL format. In a field dominated by at least 75% SPYRAL, it, along with Invoked and Trickstar, was one of the few decks that flourished under the extreme conditions of the tier zero format. Despite this, their success wasn’t exactly due to a fantastic SPYRAL matchup, but rather due to the fact that most decks were stuffing their main decks with between 7-13 hand traps, most of which did absolutely nothing against Burning Abyss. The SPYRAL matchup depends on a lot going right for you. Thankfully, the spy factory is no longer as redundant as it was last format, so a well-timed Farfa, Malebrance of the Burning Abyss sent off of a Beatice, Lady of the Eternal can work wonders in stopping plays. However, if Spyral Resort is on the field, you’re in for a difficult time. Vanity’s Fiend is a great setup tool, but can be outed by a lucky guess off of SPYRAL Tough, which is made much easier by the fact that your deck is 90% monsters. Hand traps are the name of the game through the sideboard, and Orbital Hydralander is helpful as well, provided you can consistently get the mills off. What happens when an unstoppable force meets an immovable object? The Pendulum Magician matchup, apparently. Both of these decks are intensely grindy, and the matchup is often determined by a long slough through every monster in the deck. Because of this, you may want to start looping Barbar, Malebranche of the Burning Abyss as soon as possible if you expect the game to go into time in game one. Calcab, Malebranche of the Burning Abyss is very useful as well, often removing the Time Pendulumgraph that would prevent a turn two OTK. The diversity of your opponent’s extra deck can help tip the scales in each others’ favor as well – if they have access to Utopia the Lightning and Abyss Dweller, they are much more favored than if they are playing as many of the new Supreme King extra deck monsters as possible. In the sideboard, generic spell and trap destruction is right at home. Cosmic Cyclone, Twin Twisters, and Anti-Spell Fragrance are all wonderful choices. Additionally, if you have Phantom Knights’ Fog Blade anywhere in your 55-75 cards, try to lock an opponent out of the extra monster zone once they go into a rank 4 or a synchro monster while keeping their field clear of the materials they need to link it away until you reach a point where you can OTK them. Writing the same paragraph for Trickstar matchups is getting tiring. Theoretically, your Trickstar matchup should be better than most – your monsters float, preventing the chip damage that makes Trickstars so lethal, sending Farfa, Malebranche of the Burning Abyss can prevent incredible Trickstar Lycoris setups, and the deck is often playing maindeck Kaiju to out Crystal Wing Synchro Dragon or an on-board Firewall Dragon. Unfortuantely, Trickstar doesn’t always play by the rules, and occasionally you will get Droll & Lock Birded or burned out of the game before you have a chance to do anything. Still, there’s a lot you can do against this deck. Board in copies of Twin Twisters so you can discard through standby phase Trickstar Reincarnations on the draw, alongside as many hand traps as you can muster. Droll & Lock Bird and Ash Blossom & Joyous Spring are exactly what you’re looking for. On the play, you can add in copies of Mistake to prevent the several searches that make Trickstar so formidable. Finally, if you have access to rank 4s through Fairy Tail – Snow and friends, consider a Performage Trapeze Magician in your extra deck if you feel the matchup is really that bad. Paleozoics continue to complicate the metagame for Burning Abyss. Toadally Awesome is just as sticky and twice as annoying as Dante, Traveler of the Burning Abyss, and the ability to steal and set Burning Abyss monsters is the icing on the cake of this matchup. Paleozoic Dinomischus can banish Burning Abyss materials that we absolutely need in the graveyard, Gameciel, the Sea Turtle Kaiju complicates things for the self-destroying archetype, and to top it all off it’s almost impossible for Burning Abyss to amass any kind of pressure against the froggies. Things post-board improve somewhat. Twin Twisters and Cosmic Cyclone can help clean up the backrow. If by some miracle you can resolve a Dante, Traveler of the Burning Abyss, using the effect of Calcab, Malebranche of the Burning Abyss is alright, even though you’ll need ways to get rid of Toadally Awesome. Kaiju work fine, though if you’re feeling particularly sacky, feel free to board into Kaiju and a few Evenly Matched, hoping that either your opponent can’t make Toadally Awesome or that you draw them both. True Draco is an odd matchup. On one hand, if you’re playing Kaiju and hand traps in the main, it should be reasonably easy, but on the other hand, if your opponent assembles a Master Peace, the True Dracoslaying King on Trap/Monster or you’re playing a greedy list, you may be in some hot water. Burning Abyss has long had problems with monsters with over 2500 attack, and True Draco’s behemoths are far above that. Additionally, there aren’t very many good cards to send to the graveyard with Beatrice, Lady of the Eternal, (aside from Interrupted Kaiju Slumber) since most of their monsters will chain effects to her effect, and banishing them is inconsequential when they don’t need to tribute monsters to get them out. After sideboarding, things get a little better. Copies of Twin Twister and Cosmic Cyclone should help you destroy their lingering traps and field spell, and the massive hand trap lineup should stop them dead in their tracks. 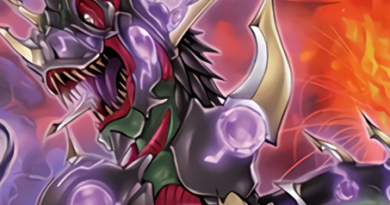 Still, it can be a very difficult match, as almost any popular floodgate, of which True Draco will be packing at least one, can easily shut down Burning Abyss. If you go one-for-one the whole game, continue ending with Borreload Dragon once your opponent is out of relevant trap cards – it’s one of the few cards we have access to that gives Master Peace, the True Dracoslaying King trouble. The Burning Abyss mirror has never been particularly fun. Slow players and people poorly versed in the mirror will stare at cluttered boardstates for long periods of time, so if you can imagine your opponent won’t be able to navigate a gummy position, start using Barbar, Malebranche of the Burning Abyss as soon as possible (within reason) so you’ll be ahead when time is called in game 1. 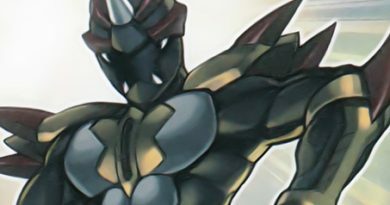 As players become more used to playing against Burning Abyss in 2017, this time differential will likely go away, and therefore it will be worth your while to find more optimal ways of navigating the matchup. Pre-board, using Beatrice, Lady of the Eternal’s effect to send Interrupted Kaiju Slumber to the graveyard enables easy outs to your opponent’s inevitable Beatrice. If you can, take advantage of the die roll and try to remove materials from their XYZ monsters with Farfa, Malebranche of the Burning Abyss. Post-board, Ghost Reaper & Winter Cherries should serve you well, as will Cosmic Cyclone if you know your opponent is heavy into the Phantom Knights’ Fog Blade.